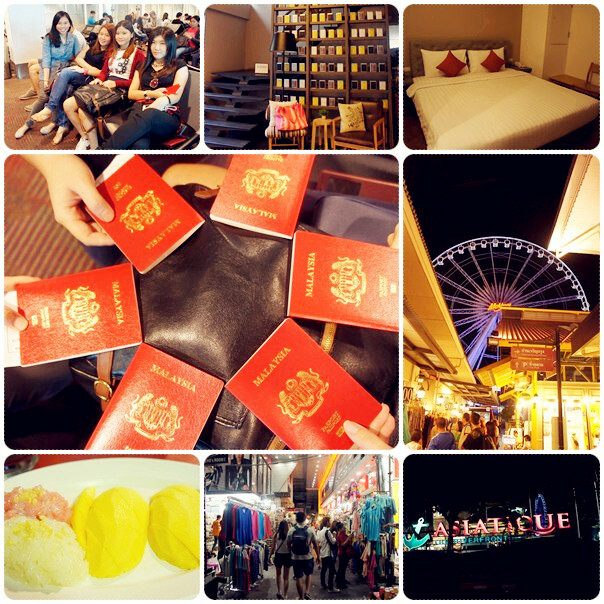 I've just came back from Bangkok, Thailand a week ago. I'm here to blog about my schedule, expenses, accommodation and some tips on transportation. I know most of you are interested to know the budget needed to travel in Bangkok. Stuffs in Bangkok are actually quite cheap, except the fact that due to our weak currency exchange, it makes the stuffs there equally the same as Malaysia. EXCEPT FOR THE FEMALE CLOTHES. It is still cheaper compared to the shops in Malaysia. By the way, today's blog post is going to be a brief summary on my schedule which was planned and organized by me, myself and I through intense research. LOL. It was a 6 Days 5 Nights trip consisted of 6 awesome people. (Ruby, Mark, Sher Lyn, Andy, Mei Liang and Pee Yin). 1. Flight Ticket (Air Asia) - RM382 per person including 20kg luggage both ways (sharing). Which means 10kg each way per person. If you aim to shop like crazy, then you might need to get 20kg luggage per person on the way back from Thailand. That's an additional of another RM58. Remember, you still have another 7kg worth of hand carry. 2. Hotel for 5 Nights - RM477 per person (LemonTea Hotel, Ruankasalong Hua Hin Holiday House and Asia Bangkok Hotel). Roughly about RM100 per night, per person. 3. Transportation - roughly about RM300 per person (including transportation to Hua Hin). 4. Food, Ticket Entrance at Hua Hin and Shopping Expenses - depends on individual. I personally spend about 1.2k. 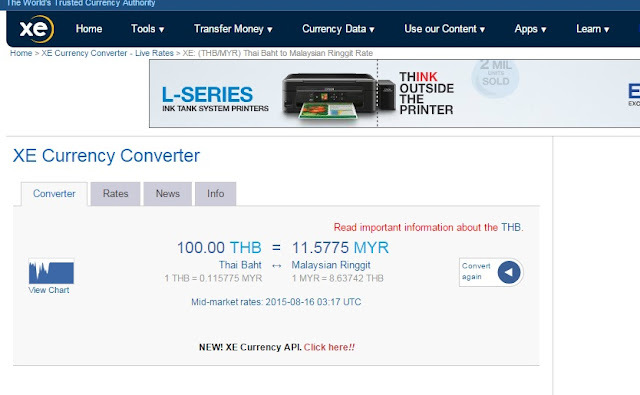 A month ago, XE Currency Rate was RM10.94 to 100THB and I got for RM11.30 to 100THB at the money changer outlet. Today while blogging this, the XE Currency Rate is RM11.57 to 100THB. Goodness Heaven! I bet the money changer outlet will put the price as close to RM12 for 100THB now. Tsk tsk... Not a wise idea to travel overseas at the moment. The value of our money is getting shittier. However according to our Tourism and Culture Minister, Nazri Aziz said that this 'situation' is good for our country. So let's get back to the main point. 2.45pm - Flight to Don Muang Airport, Bangkok. (2 hours flight). 3.30pm - Arrival at Don Muang Airport. (Take note that Thailand time zone is one hour earlier than Malaysia). 4.00pm - Depart to LemonTea Hotel (about 25km) Transportation was 1400THB for an entire 12 seater van. We divided into 6 people for transportation which means 233THB per person. This is extremely expensive. I'll give you tips on this later on. 5.00pm - Check in LemonTea Hotel. 6.00pm - Pratunam Market (located 400 meters away from our Hotel). Jalan kaki saja lor. We had our dinner at one of the seafood restaurant along Pratunam. 11.30pm - Foot Massage 250THB per hour. * Tips : Always travel in pairs. It can be in two, four, six, eight or ten. If you're travelling in two or four people, then it is easier to get a four seater cab. However if you're travelling in six then it is better to get a 6 seater van. If you're travelling in a group of 7-12 people, obviously you should opt for a 12 seater van. The van that we booked from the airport back to our hotel was a 12 seater van. That is why the price was expensive. If you get a smaller van or cab, it cost only about 500-700THB from airport to Pratunam area. 11.15am - Swiss Sheep Farm, 120THB per entrance. 12.30pm - Santorini Park, 50THB per entrance. 9.30pm - Foot Massage 200THB per hour. * Note : Maeklong Railway Market is currently under maintenance and it is expected to re-open somewhere around November 2015. We didn't get the chance to visit the place. Sob. 10.30am - Grand Palace, 500THB for the cab. 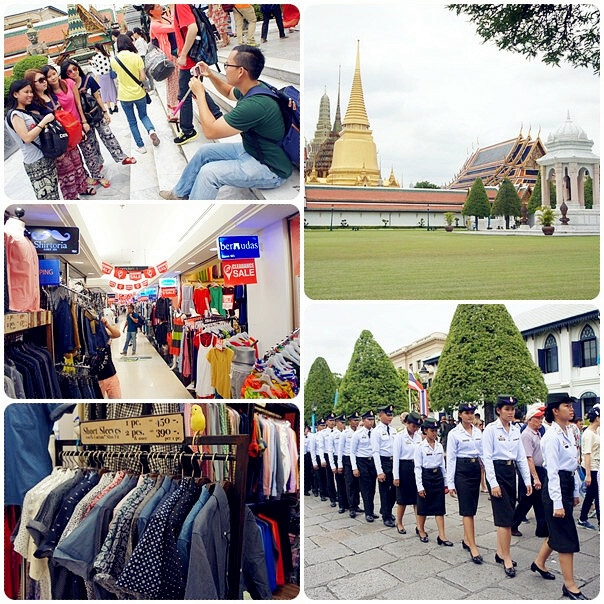 Grand Palace entrance fee is 500THB per person. (It was supposed to be a half day trip to Grand Palace but the place was super packed and crammed with humans. We decided to leave earlier). 12.30pm - Chinatown 150THB per tuk-tuk from Grand Palace (fits only 3 people). There is nothing in Chinatown. So please don't go that place. Wasting time only. 1.30pm - Platinum Fashion Mall 150THB per tuk-tuk from Chinatown (3 people only). 7.30pm - Dinner at some restaurant which I can't recall the name because I was dead tired and hungry as hell. 9.00am - Depart to Honey Factory (The taxi driver will only charge us 100THB to reach our destination which is the Chatuchak Market with a condition - to stop by at the Honey Factory) Since it is only 100THB for the transportation, therefore I see no harm in stopping by Honey Factory right. You don't have to buy anything there. So no worries. 8.00pm - Chocolate Ville 1400THB for the cab. Price was quite expensive. We got cheated by the bloody driver. He told us 1200THB for two ways and when he brought us back hotel he said it was 1500THB because we made him waited for two hours. We argued with him and he decided to charge us 1400THB. WHAT THE HELL??? Later on we decided to just let it go. Cilaka punya driver. 10.00am - Flight back to Reality (500THB from Asia Bangkok Hotel to Don Muang Airport). 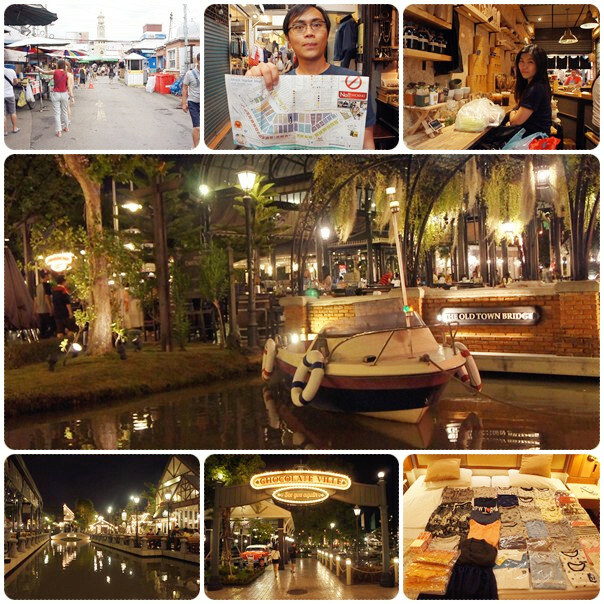 We did not visit the floating market because I read and heard feed backs/review from blogs and friends of mine who visited the place. Which I find rather not worth visiting lor unless you want to go just for the sake of experiencing the boat ride. The boat ride would cost 500THB to 1000THB per person and basically you'll do your shopping by riding the boat. Stuffs sold there are way more expensive and the food is dirty as well. Several friends of mine actually suffered from food poisoning. That's all for my so called 'brief summary' on Bangkok-Hua Hin Travel Guide. I will blog in detail for each place in my upcoming post. May this post be helpful to some of you. I will post some of the reliable drivers contact number next time. Feel free to leave a comment for further inquiries. I will try my very best to answer your question(s). Here's a detailed post for my trip. Hi for ur day 2, the van cost 6500baht. It brings u all around for 8 hrs? Price include petrol? Do you have the contact? Yeap. Includes everything. Petrol, parking, tol, driver's accomodation and food as well. You can get their contact at my this post. You can call Mr. Komsan because he can converse well in English. 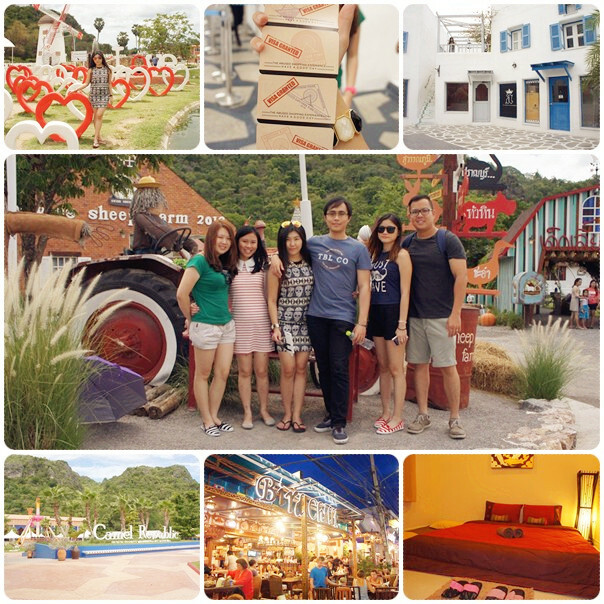 Thanks Ruby for this exclusive guide for Hua Hin. I was making a plan to visit Hua hin recently and this guide will help more than anything. For Hua Hin extendet info like restaurants, villas and hotels I like to use also allhuahin.com site as I can see they are one of the most organized and progressive portal at Hua Hin. As a Thai,I read your trip list with sad feeling.You paid too much for transportation especially the fares that was charged by stupid and greedy taxis in BKK. I don't know how to find any words to apologize our Malaysian friends or other ASEAN countries,but it already happened so I am very sorry for that on behalf of Thai. It's okay. I think that is the only way to earn extra money for the taxi drivers. 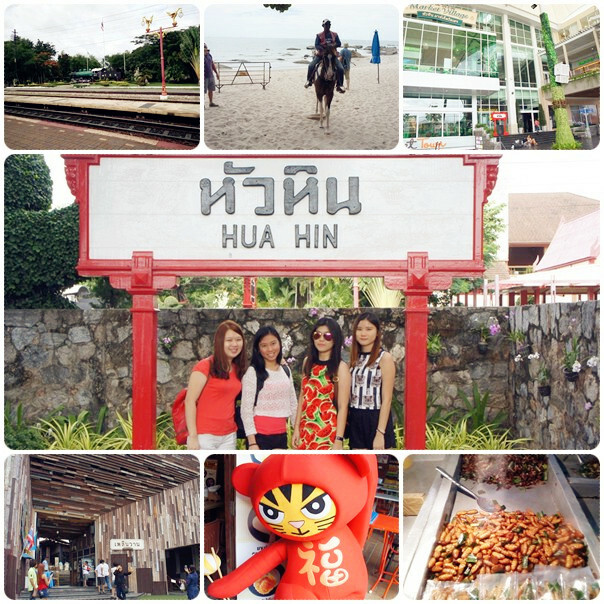 When visiting Hua-Hin you will be amazed by its beauty and vibrant culture. It is not only a perfect destination to relax for a couple of days, but also for a bicycle. 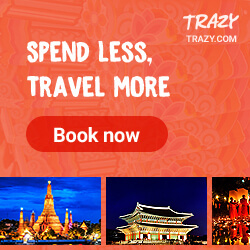 Book your tickets using AirAsiaGo Voucher Code and get the holiday packages at an affordable price. Thailand is the place where every visitors wants to visit . I am glad to see this. Photos is amazing in this blog . Thanks for sharing this with us. Keep posting like this.